Abandoned Haunted House Complex is a Haunted Attraction located in Sturtevant, WI. reviewed this attraction on September 23, 2017. 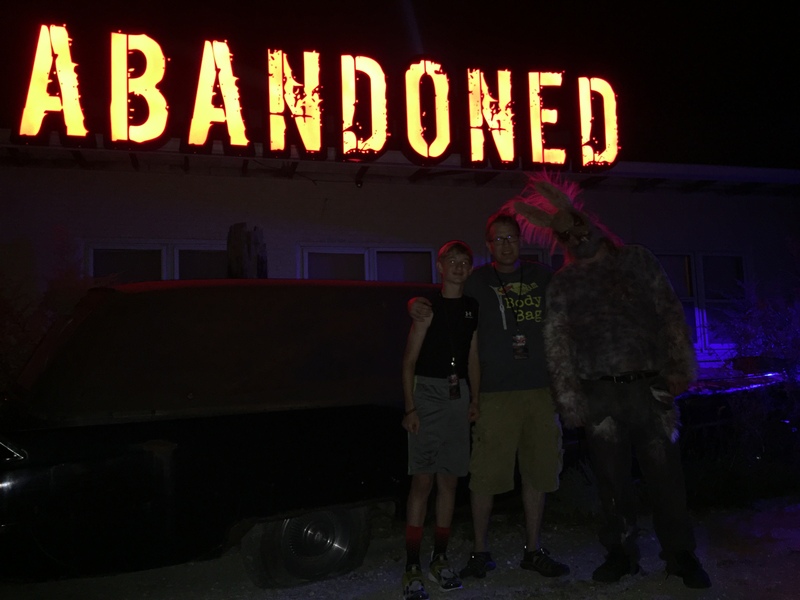 Abandoned Haunted House Complex, located smack dab between Milwaukee and Chicago, came onto the haunt scene 6 years ago with their unique brand of horror, offering a “Trifecta of Terror” for one low price. 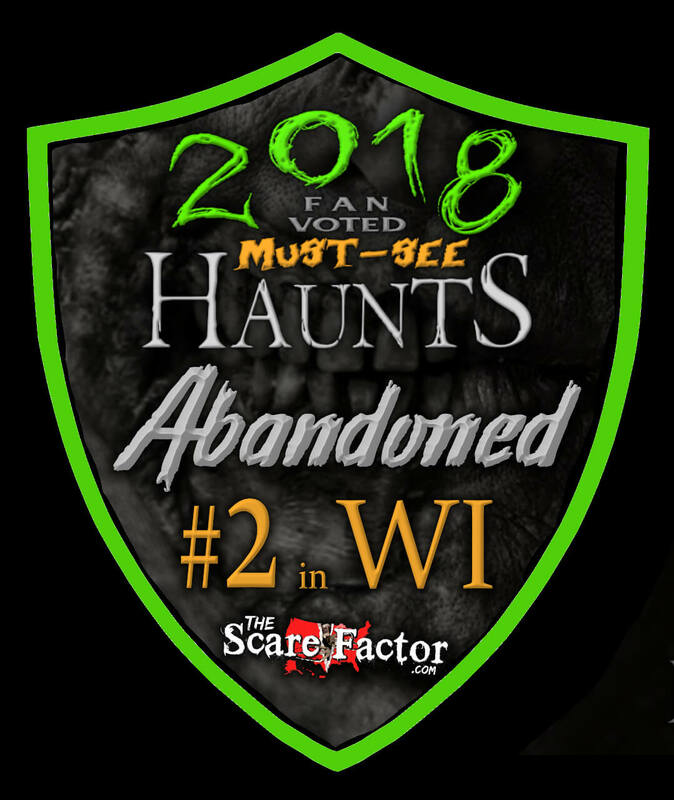 There are 2 indoor attractions, Ambush & Hysteria which are “in-your-face” haunted houses that combine a narrow, claustrophobia-inducing layout with high energy actors. The 3rd attraction, Stalkers, is one part outdoor corn maze, one part indoor haunted house, which together equals one terrifying experience! There is a side attraction available called “Shoot a Freak,” which is a zombie paintball shooting gallery. It must be mentioned that it was excessively hot during the night of our visit, with temperatures reaching near 100 inside the haunts! Coupled with the fact it was opening night, we’re pretty certain that we didn’t get to see the cast at their very best. But given the circumstances, we’d say the actors did a pretty admirable job. Abandoned employs around 100 actors, which seemed to fill the 3 attractions quite well. We never came across a single actor that broke character during our entire visit, even when we chose to interact with them. The majority of the cast were intense and pretty darn energetic when considering it was practically “roasting” inside the haunts. While we didn’t hear a lot of engaging dialogue, when the actors did speak it was usually something scene appropriate. We would have liked a little more interaction from the cast, as most seemed more comfortable with “quick startle” type engagement. A small portion of the actors seemed a little bit green, perhaps not quite comfortable with their roles yet, but they were the exception, not the rule. The makeup and masks were highlights regarding the costuming. The airbrushed makeup effects were of professional quality as were the prosthetic applications. All of the masks we saw were highly detailed and seemed to fit their characters well. Some of the clothing worn was a little basic, distressed street clothes and the like. But we did see more elaborate creations, as well, especially inside Ambush and Hysteria. It was very dark inside the haunts, so it was hard for us to see the finer details on the characters but what we could see was pretty great. The bloody/gory applications, in particular, were quite realistic and made one review team member gasp more than once! Prior to our trip to Abandon, we had never been to the greater Milwaukee area before. We really had no idea where we were going but had absolutely no problems finding our way with GPS. The attraction is located mere yards right off the highway and is extremely easy to get to, which is really appreciated if you don’t know where the heck you’re going. There is ample free parking, Porta-Potty restrooms, a very nice gift shop, and a food truck selling all sorts of goodies. There were several roaming actors who kept the queue line well entertained as well as people who were entering from the parking lot. The attractions, ticket booth, gift shop and concessions were easy to spot with good signage and lighting. As soon as we got out of the car, we heard music, chainsaws, and screaming in the distance. The building itself has a really cool and unusual teepee-shaped structure out front that is original to the building. There is a large illuminated ABANDONED sign out front as well and the “Shoot A Freak” shooting gallery is available right as you walk in. Even though it was opening night, there was a pretty decent sized crowd on hand who appeared to be having a really good time watching videos on the fairly larger movie screen and getting entertained by several roaming actors. One feature that we really enjoyed was that there were different kinds of music at the various locations of the attractions, one area would have rock and other hard metal. The tuneage was cranked up fairly loud which seemed to do the trick of getting us both a little more amped to enter the haunts. As mentioned earlier Abandoned is located directly adjacent to the main highway, which does detract somewhat from the overall atmosphere because of the traffic. However, the loud music being played does do a pretty good job of drowning out the highway noise. The building that housed Ambush & Hysteria had a facade that resembles that of an old decrepit building, which gave it a real authentic haunted house look. What stood out most to us regarding the effects in all of 3 haunts, was the authenticity and detail of the scenes. A lot of the sets had an old, weathered, and utterly creepy look to them. We noticed a lot of old farm equipment and authentic antiques that looked like they were covered in layers of dust. We really enjoyed the layout of the haunted houses which used a lot of tight narrow corridors forcing you to get up close with your surroundings. We would consider the floors in Ambush and Hysteria to be a special effect all on their own as we were forced to go up and down ramps and at times the floor seemed to move on its own, making it challenging to continue. We were very impressed by the waterfalls in the jungle scene, several animatronic creatures, and the excellent sound effects throughout. While there wasn’t an actual backstory to score in this category, we were informed that Hysteria is based on a mind-bending lack of reality and Ambush is more of an intense, in-your-face haunt feasting on realistic fears. Abandoned did a great job of incorporating a wide array of scare techniques. Environmental scares were in abundance and at times, it seemed that everything was out to get us! The walls closed in on us, floors moved, visual illusions inhibited our progress, then there was the barrage of air cannons that gave one helluva jolt. Even the layouts of the haunts themselves were effective at inducing fear with their long tight corridors, which at times, forced us to literally squeeze through to the next scene. It was the actors though who gave us the most notable frights. Clever hiding spots helped to make them quite unpredictable, you never saw where their attacks were coming from. The cast seemed especially adept at providing distraction-based scares. Something would get our attention, a prop or animatronic creature for example and then when we least expected, an actor would provide a jump scare. The intensity level of the cast was pretty high and some were downright aggressive causing us to question whether or not if we would make it through unscathed. A general admission ticket cost $25 for Ambush/Hysteria and $15 for Stalkers. However, we feel that the combo ticket is the way to go, as it is only $5 more at $30. A VIP Fast Pass can be added for only $10 more and is highly recommended on busier nights were the wait can be several hours long.There is also a zombie shooting gallery called “Shoot A Freak” available for $5. Our tour times were as follows: Hysteria 17 minutes, Ambush 16 minutes and Stalkers 18 minutes for a combined total of 51 minutes. When dividing the tour time by the general admission price, we get a MPD (minutes per dollar) score of 1.7. We felt that Abandoned well deserved the high score as you do get a lot of quality entertainment for a very reasonable price. It’s always a treat for us to attend haunts that have more to offer than the standard 15 to 20 minute tour. We would love to come back sometime to see this place later in the season when the actors are more comfortable in their roles and during a time when the temperatures aren’t insanely high like they were during our visit. 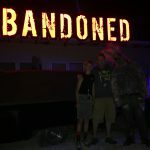 Even though we very much enjoyed our time here, we have a feeling we have not yet witnessed the best that Abandoned has to offer. We hope to be able to visit again in the not too distant future. Wow, went to abandoned haunted house last Saturday and had a amazing time! 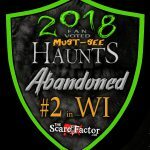 I’ve been to lots of …show more haunted houses in Wisconsin and Illinois over the past few years but never to abandoned. After passing it multiple times we figured it was time to go. From the time we got there until the time we left we had fun. It was scary because there was smoke everywhere. We asked a security guard what it was from and they said stalker so we knew it was going to be awesome. I think my favorite part was in hysteria I think when a guy was in a prison shower with a bar of soap. My friend got so scared because he was blocked in the corner with him lol. Overall this was the best haunted house we have been to in years and definitely the best in the Milwaukee-chicago area! Highly recommend this place! This haunt is amazing on every aspect from the set design to the actors everything really hits it …show more out of the park for me! I highly recommend everyone to go and check if out if you ever can!